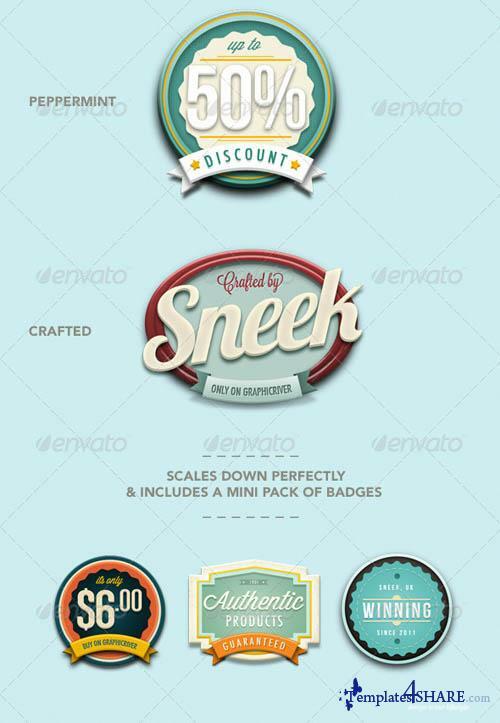 Retro Vintage Badges 3 made with 100% Photoshop shapes & Vectors making them perfect for resizing and in 8 Fantastic new retro vintage styles. 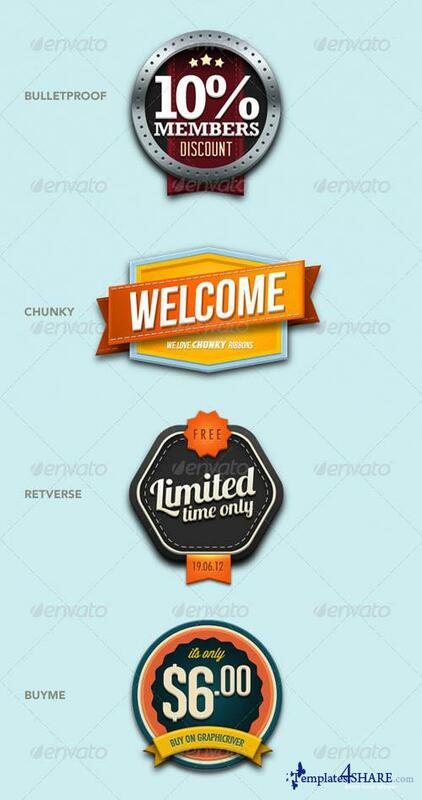 This pack of 8 retro vintage badges are perfect to use as logos, buttons or as promotion graphics for your website. Each Badge has its own unique colour scheme perfect for the retro connoisseur.